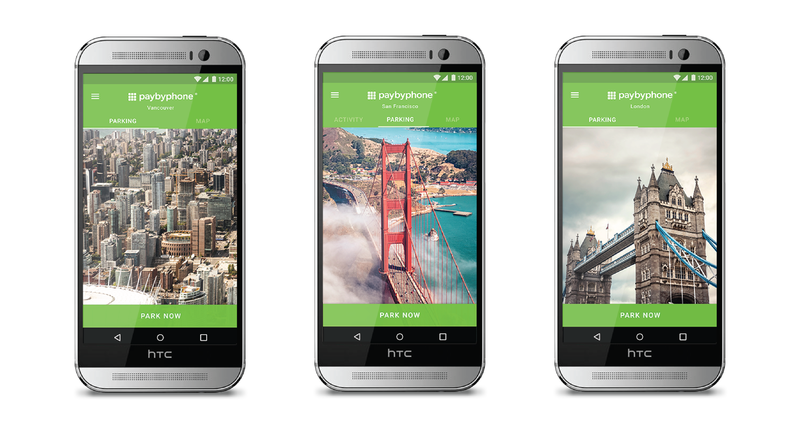 October 24, 2016 – PayByPhone, the world’s leading mobile payment provider, launches their new Android app today. The new app includes a brand new experience that has been built from the ground up. Users will enjoy new features and improved speed. The app also supports Android Pay. Android Pay is a secure payment method that works with banks around the world. PayByPhone users have the option of selecting Android Pay as their default method of payment. “By offering Android Pay, we’ve simplified the payment process while continuing to meet our commitment of providing consumers with extremely high security and fraud prevention,” explains Kush Parikh, President and CEO of PayByPhone. The app includes new features while continuing to provide fan-favorites. Users can easily view their current parking session as it counts down and add additional time while on the move. The PayByPhone experience is based on the driver’s location. This new feature provides stunning images of a driver’s current city. It can also display information on any special events or important local announcements. Users have the ability to manage their accounts right in the app. This includes managing multiple vehicles, payment options and notification settings. Drivers will also be able to select different rates for different scenarios like residential, disabled or visitor parking. By early November, PayByPhone will also allow drivers to store multiple payment methods on their accounts and switch between them easily when paying for parking. To celebrate the launch of their new app, PayByPhone is offering a chance for users to win an entire month of free parking. Every time a user pays with Android Pay during their PayByPhone session they are automatically entered into the sweepstakes. The sweepstakes will run between October 24 and December 31, 2016. For full contest details about this limited time, Android Pay Exclusive offer visit www.paybyphone.com/worryfree.